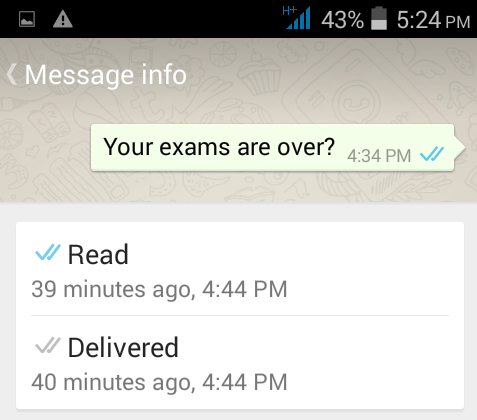 Whenever you send any message to someone on Whatsapp, ticks start appearing changing from gray to blue ticks. Now, what does they mean and what to interpret from them. Here is a short explained guide of whatspp ticks to let you understand them. Clock icon means that your message has not yet left your phone. Its still in your mobile phone yet. A Single tick means the message has left your phone, but its still haven’t reached on your friend’s phone. Double grey tick means the message has reched friend’s phone , but the friend have not read it. It may happen that he may have seen it via notification on his home screen like this pic given below. Or he may have seen via the pop up notifications like these in the pic given below. Double blue tick means your friend have read your message. This is the final tick in this message delivery process. Note: – There is no such thing as single blue tick, as double gray ticks finally turn them to blue. 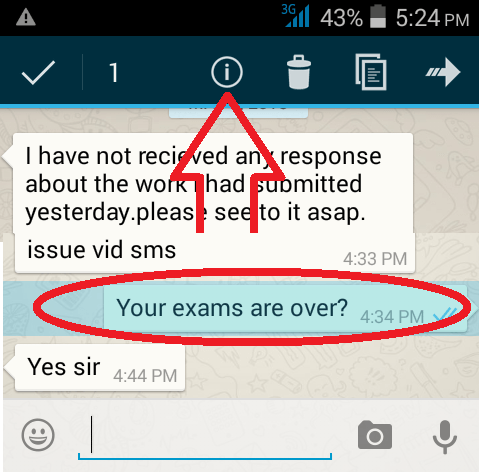 This means your friend have expanded and read the message in his notification panel on his android home screen. 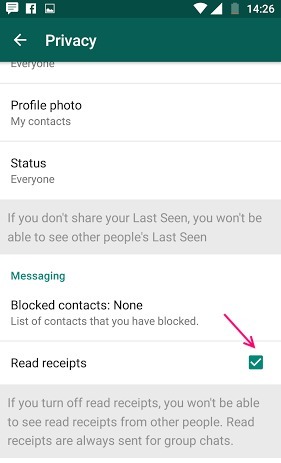 Just go to the conversation chat window of whatsapp and keep the message pressed for few seconds. On the top there is an i symbol. Click on that. You will see when he or see read you. Your privacy setting may be set to such a condition. In this condition, your friend also can not see when you read the message. Open your WhatsApp and tap three vertical dots icon on the top right of your screen. Now move to Settings > Account > Privacy.